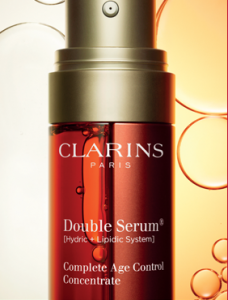 Get a free gold business card case & Clarins Double Serum sample. Fill out the form to receive a gold business card case along with a sample of Clarins Double Serum. Samples will be shipped shortly after promo has ended. Please allow 15 days for delivery. This is for the first 10,000.